(March, 19th) The Boston Global Forum (BGF) is presenting to participants in the G7 Summit its proposals for improving international cybersecurity. The Boston Global Forum (BGF) is presenting to participants in the G7 Summit its proposals for improving international cybersecurity. 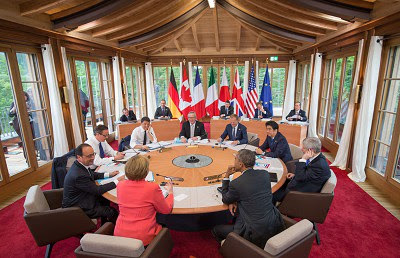 The proposals are part of the BGF-G7 Summit Initiative leading up to the May 26-27 conference in Japan. The recommendations are focused on adopting norms for cyber-responsibility as set forth by the G20, the United Nations’ Group of Government Experts and the BGF’s Ethics Code of Conduct for Cybersecurity. The BGF encourages not only G7 nations but also vendors to develop and follow cybernorms. Best practices to strengthen cybersecurity. Encouraging G7 nations, which are all advanced industrial democracies, to support cybersecurity capacity-building in developing nations.